* This is my article in BusinessWorld on February 12, 2018. The ALF is an annual liberty conference sponsored by the Atlas Foundation (US) and co-sponsored by other organizations and independent think tanks. 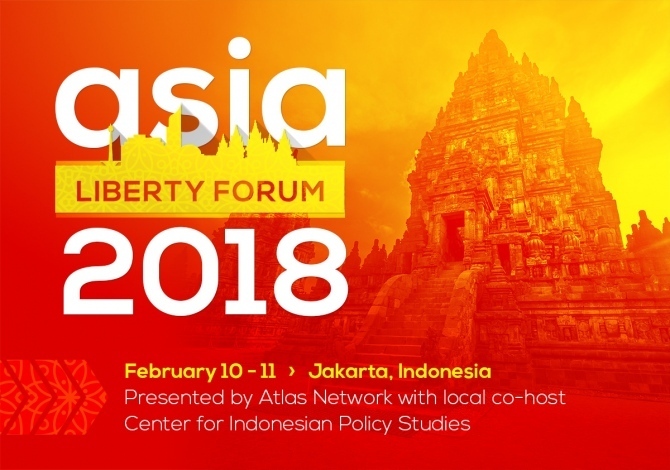 In this year’s event, the local host and co-sponsor is the Center for Indonesian Policy Studies (CIPS), a great and dynamic free market think tank. Dr. Basri is a friend since 2004 when I first attended the Economic Freedom Network (EFN) Asia Conference in Hong Kong in October 2004, sponsored by the Friedrich Naumann Foundation for Freedom (FNF) and co-sponsored by the Lion Rock Institute. I was impressed by his silent, cool, and reflective composure. Another keynote speaker in day 1 was Suraj Vaidya, Chairman of the South Asian Association for Regional Cooperation (SAARC) Chamber of Commerce, also Chairman of the Samriddhi Prosperity Foundation in Nepal. That statement was true in the past, remains true in the present, and will be true in the future. Trade is the best global peace maker since people and goods crossing borders create goodwill among societies, discouraging criminals, terrorists, and prohibited substances. 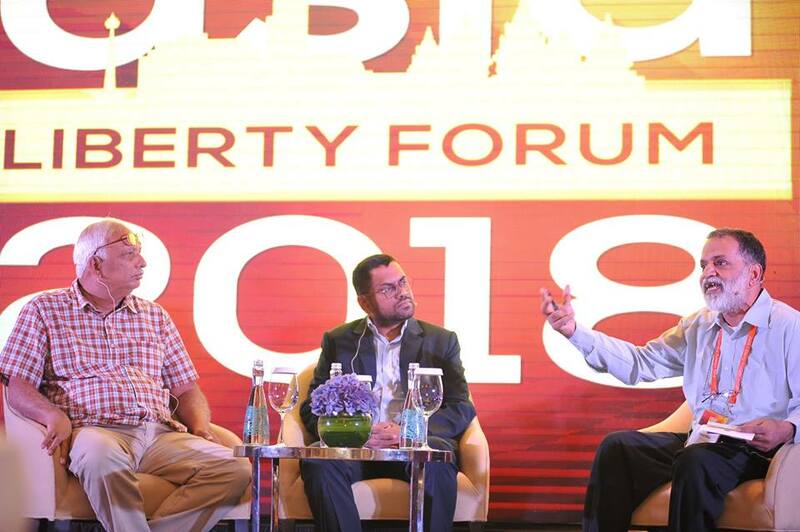 Both Dr. Basri (introduced and interviewed by Rainer Heufers, CIPS executive director) and Mr. Vaidja (introduced and interviewed by Ronald Meinardus, FNF Regional director for South Asia) mentioned the role of free trade and free markets in fighting high inflation many goods and services that are unaffordable to the poor. And this brings us to the issue of controlling high inflation in the continent. Data from the last 12 years show that average inflation rate has been declining. 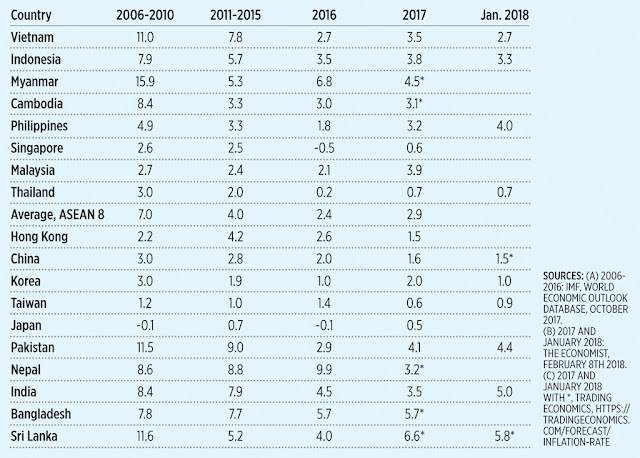 For the ASEAN 8 for instance, it went down from 7% in 2006-2010 average to 4% in 2011-2015 average, and only 2.4% in 2016 but slightly went up to 2.9% in 2017 (see table). The rise in average prices in 2017 was partly due to the rise in world oil prices. For instance, the West Texas Intermediate (WTI), a grade of crude oil used as a benchmark for pricing, went up from $43/barrel in 2016 to $51/barrel in 2017. For the Philippines however, there was a spike in consumer prices in January 2018. From 3.3% in both November and December 2017, it went up to 4%. Other countries with available data showed a decline in prices by January 2018 except in India (was already 5.2% in December 2017), Pakistan (4.6% in December 2017) and Taiwan (1.2% in December 2017). So the Philippines is the “outlier” here, experiencing higher inflation when most neighbors have declining prices. Why? The most proximate explanation is the TRAIN law signed in December 2017. While there is a decline in personal income tax rates, there are tax hikes in oil products, sugar tax, among others. The Philippines is entering a period of increasing government intervention, taxation, and regulation. This is not good for the people and private enterprises. I am reposting below a good article by a friend. Enjoy. 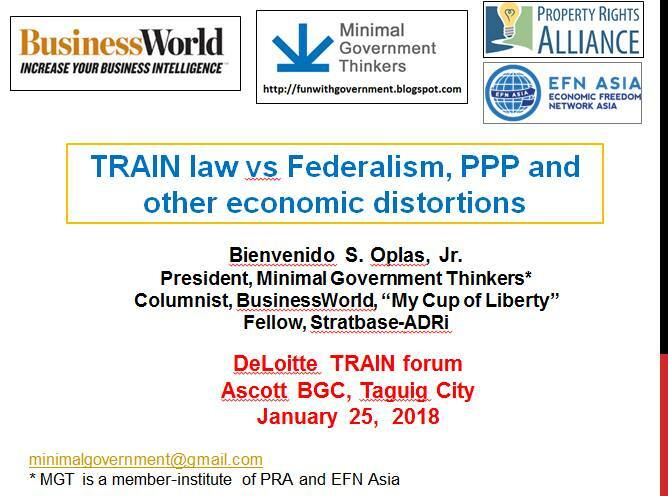 * This is my column in BusinessWorld last February 8, 2018. Urbanization, like technological innovation and mass production of mobile phones and other gadgets, is among the important reasons why people’s lives have become more comfortable. Many necessities like schools and work offices, supermarkets and groceries, hospitals and clinics, are nearby. People no longer need travel for hours or even days just to get to the nearest health facility. Vertical structures like residential and office condominiums immediately free up huge tracts of land for other purposes such as public parks, stadiums, and sports facilities. Subways and elevated train tracks, underground tunnels, elevated roads, and interchanges for vehicles significantly improve traffic flow. Urbanization and more dense cities therefore, is good. The continued rise in urban population is proof that despite complaints of congestion, people realize that the advantages trump the disadvantages of living in big cities. 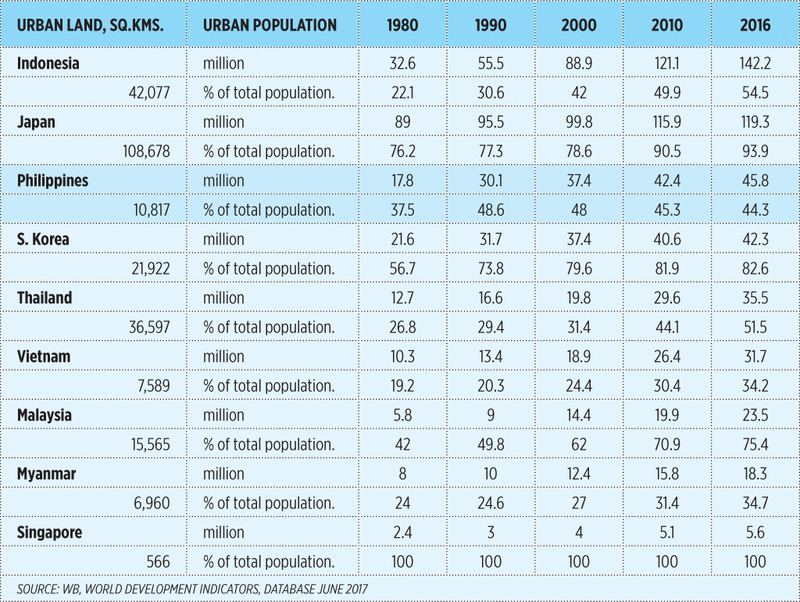 Urbanization therefore, should continue and expand, not restricted and bureaucratized. 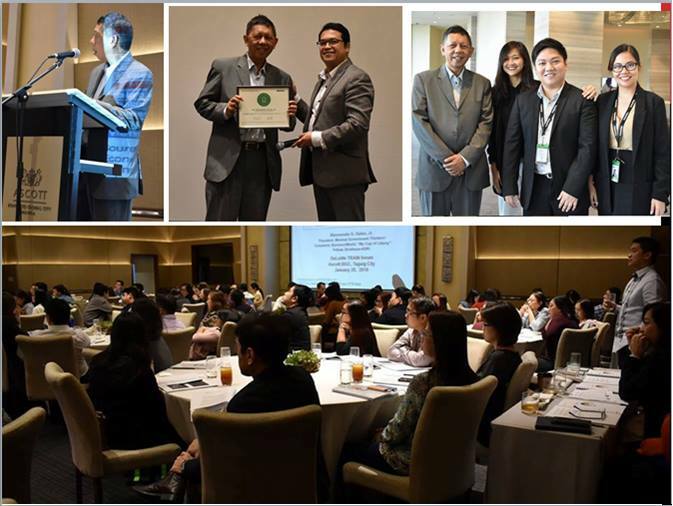 The Foundation for Economic Freedom (FEF) organized a lecture on “National Land Policy in the Philippines” in late October 2017 at Ascott Makati. The main speaker was Arturo G. Corpuz, a noted Urban regional planner and FEF Trustee. 1. 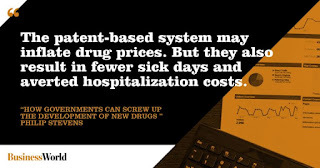 Supply side bias. The underlying philosophy is that land should be used based on what it is “physically suitable” for regardless of demand. Art says the world works differently from this bias, the reality is that land value and demand determines land use and hence, land suitability. Food self-sufficiency policy leads to locking up irrigated and irrigable land, alluvial plains, croplands, highlands instead of focusing on raising productivity and farmers’ incomes, like allow or encourage land consolidation for farming economies of scale. 2. Protection focus. Dominance of protection in HB5240: (a) Protection land use prevails over any other activity, all other uses are residual to protection. (b) 8 of 13 policies/principles are about protection. (c) The departments of agrarian reform, agriculture, and environment and natural resources control the supply of land and these three agencies plus the National Economic and Development Authority, the Department of Interior and Local Government, the National Commission on Indigenous Peoples, the Housing and Urban Development Coordinating Council, the Housing and Land Use Regulatory Board, the National Mapping and Resource Information Authority, the League of Cities of the Philippines, and the 12 sector representatives are members of National Land Use Policy Council (NLUPC). (d) DTI, DoT, DoTr, DPWH, DoF are not members. Art says there is nothing wrong with protecting and using land only for forests and agriculture but it has to be balanced with the requirements of growth. Otherwise, corruption is encouraged as legitimate growth is not accommodated legally and incentives to do things illegally are created. And restricting growth especially in large cities can lead to more land conversion somewhere. 3. Planning structure/bureaucracy. 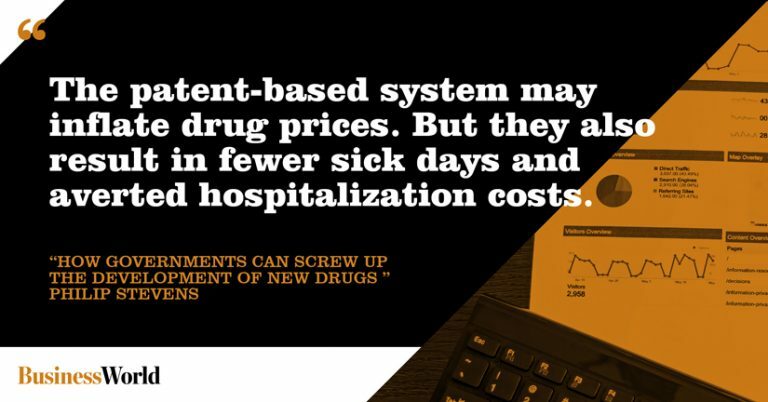 Agencies responsible for determining supply are not the same agencies responsible for accommodating demand. They should be the same, like NLUPC = NEDA Board. The Comprehensive Land Use Plan (CLUP) is the ground zero of land use planning and regulation, basis of zoning ordinance. Only 22% of 1,634 LGUs have approved CLUP (2017) and local zoning is used for rent-seeking through negotiations regarding land classification, parking requirements, building heights/densities, and reclamation. There is a need to increase transparency among LGUs. 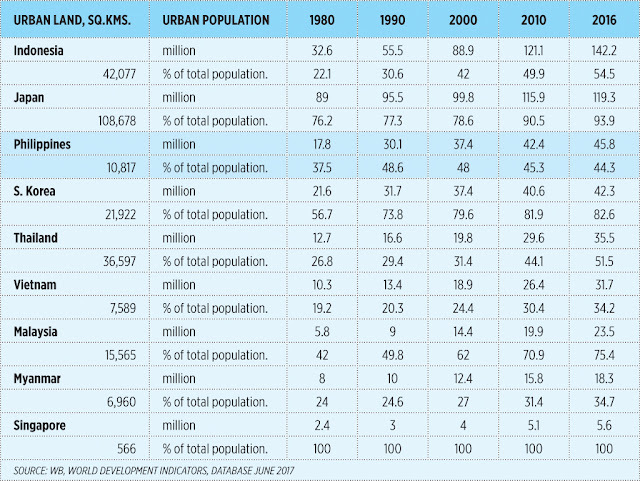 I checked urbanization numbers in Asia and one thing surprised me — the Philippines is experiencing de-urbanization. 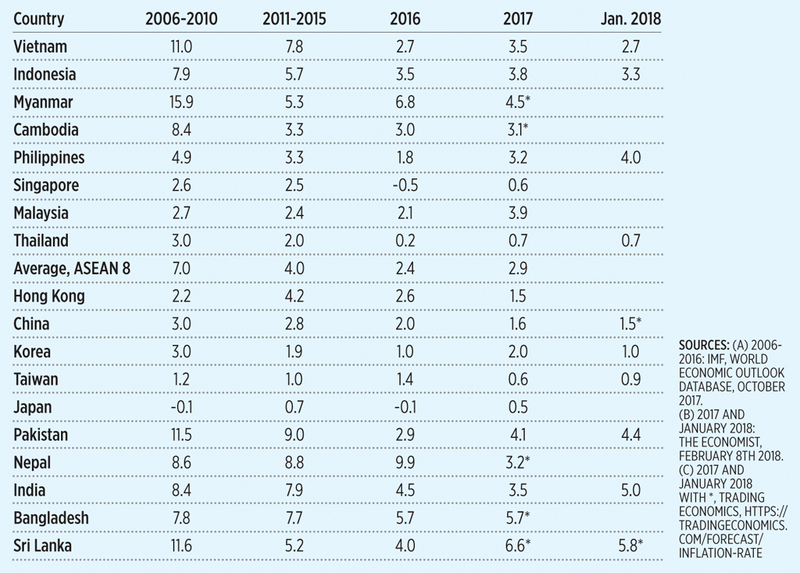 While almost all countries have rising urbanization rate through time, the Philippines has a declining rate (see table). Problems #2 and #3 — protection-focused and bureaucracies — discussed by Art above would be the most feasible explanation. Urbanization is taking place on a nationwide scale but many are listed as “illegal” by the various agencies. As a result, many land areas covered by their corresponding population expansion are still considered as “rural areas” and hence, not urbanized. Government as “referee” should address competing land use of the country through legislation but it should free up and liberalize, not restrict and bureaucratize, land conversions. Indonesia. 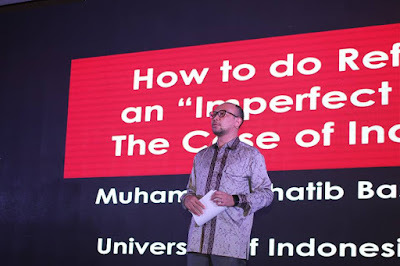 He talked about "Policy Reforms in an Imperfect World: The Case of Indonesia". He was introduced by CIPS founder and Exec. Director, Rainer Heufers. Participants of the Think Tank fundraising seminar, 2 days before the ALF proper. There were 20+ of them. Photos below taken on day 2. Participants or finalists of the "Shark Tank" competition, Rofi from Suara Kebebasan, Indonesia; Dhana Fernando from Advocata Institute, Sri Lanka; and Sarwagya from India. Participants explain what important project they will do before a panel of judges. Winner will get $10,000 for his institute to fund the project. The panel of judges, from left: Terry Kebbie (US), Chatib Basri (Indonesia), Siggi Herzog (FNF, Gemany; but he's Bangkok-based); Linda Whetstone (UK), and Razeen Sally (Sri Lanka). Various panel discussions. 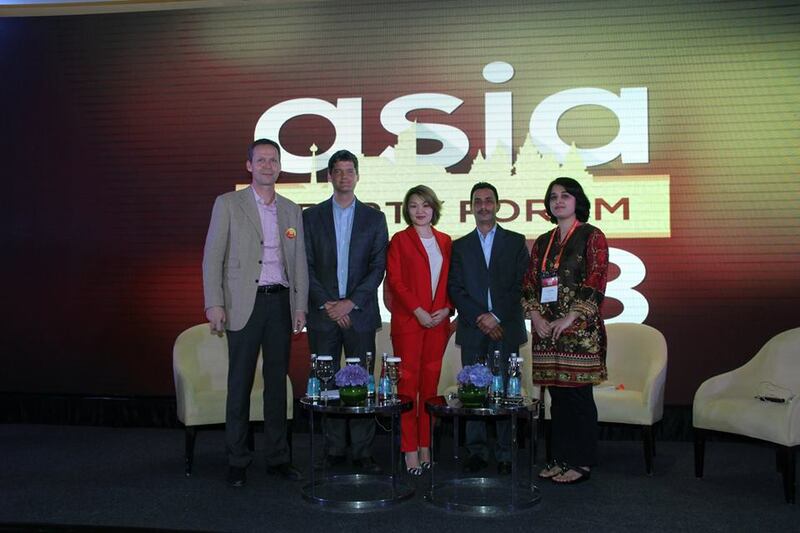 Here is the panel on "The Ease of Doing Business". Panel on Property Rights, afternoon of day 2. "Technological Solutions for the Protection of Property Rights." 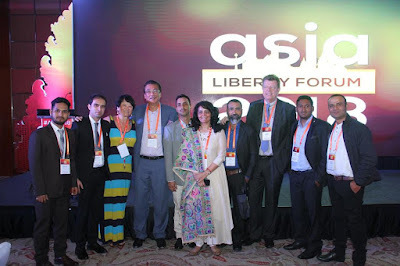 Moderator was Barun Mitra (Liberty Institute, India), on the right. Two speakers: Ambrish Mehta (Action Research in Community Health and Development, India), and Baladevan Rangaraju (India Institute, India), in the middle. 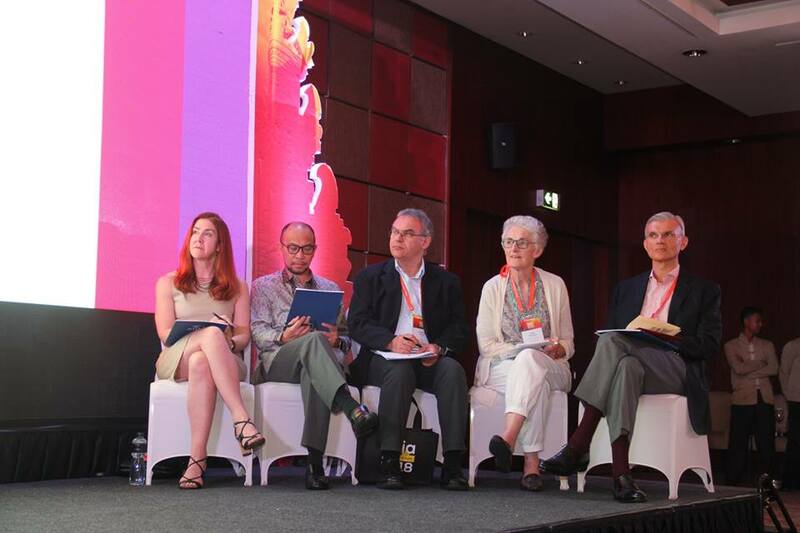 Panel on "Property Rights for Prosperity", Moderator was Ayesha Bilal (PRIME Institute, Pakistan). 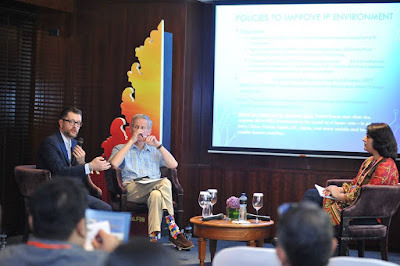 Two speakers: Lorenzo Montanari (Property Rights Aliance, United States) and Eamonn Butler (Adam Smith Institute, UK) in the middle. 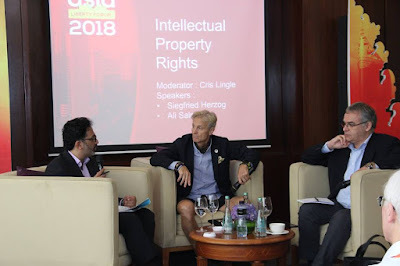 Panel on "Intellectual Property Rights", Moderator was Cris Lingle (Universidad Francisco Marroquín, Guatemala) in the middle. 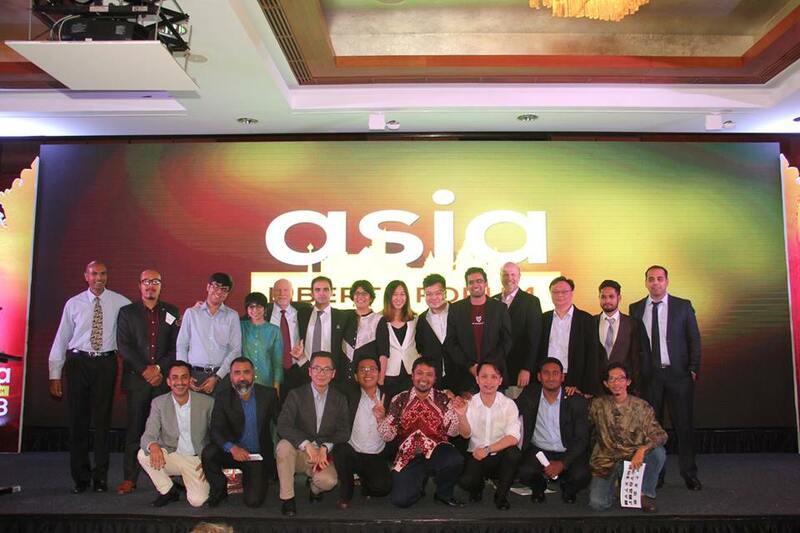 Two Speakers, Ali Salman (Institute for Democracy and Economic Affairs, Malaysia) on the left, and Siegfried Herzog (FNF, Thailand) on the right. 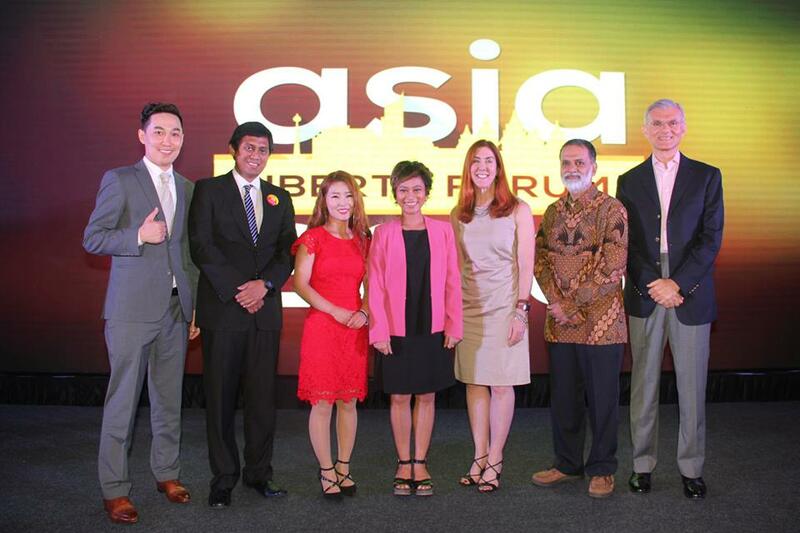 Plenary discussion on "Let's talk business", experiences with revenue-generating tools and events by think tanks. Moderator was Rainer Heufers (CIPA, Indonesia) on the left. The five Speakers from left, after Rainer: Juergen Keitel (Air Asia, Malaysia), Gulmira Aidaralieva (Central Asian Free Market Institute, Kyrgyzstan), Robin Sitoula (Samriddhi Foundation, Nepal), and Ayesha Bilal (PRIME Institute, Pakistan). My bactchmates in ALF 2005, a day before the EFN Asia conference 2005, in Phuket, Thailand. 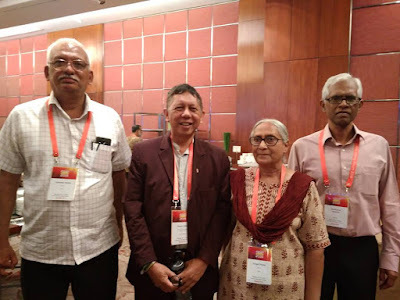 From left: Ambrish Mehta, me, Trupti Mehta, and Shankaran Nambiar of the Malaysian Institute of Economic Research (MIER). Another batchmate, Nguyen Cuong Minh from Vietnam also attended the ALF 2018 but he arrived on Day 2 only. Gala dinner, a beautiful performance by a local group. 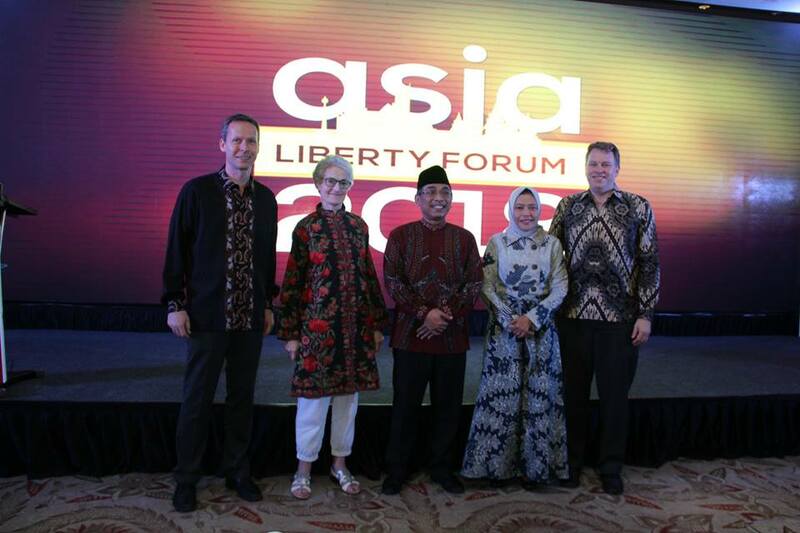 Key leaders of ALF 2018, from left: Rainer Heufers of CIPS; Linda Whetstone (Atlas Network, UK); KH Yahya Cholil Staquf, General Secretary of Nahdlatul Ulama Supreme Council, Saidah Sakwan, CIPS Chairperson; and Atlas CEO, Brad Lipps. The CIPS team and their friends, volunteers. The panel sponsors with the organizers, from left: Brad Lipps, from Acton Institute, Lorenzo Montanari (PRA, USA), Li Schooland, Ronald Meinardus (FNF, Germany), Daniel Green, and Rainer Heufers. Good job Rainer and team, successful ALF conference, congratulations. 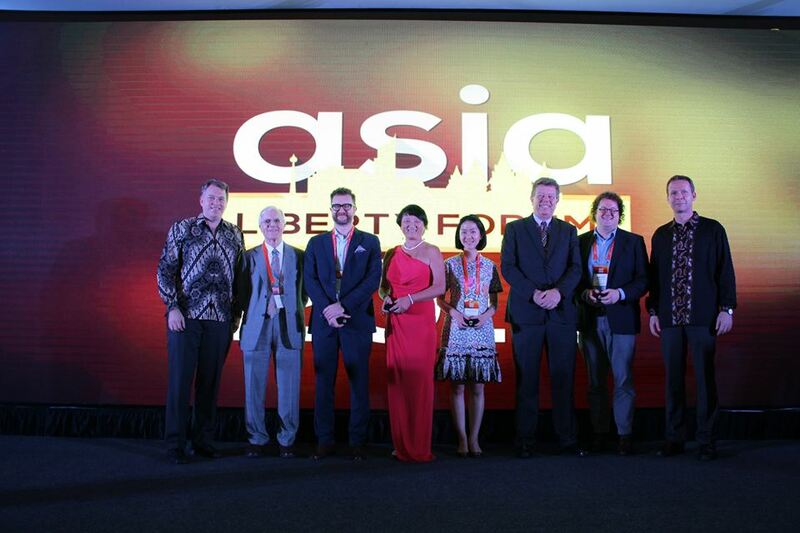 Thanks to EFN Asia for giving me the travel grant to participate in this conference. * This is my article in BusinessWorld last February 6, 2018. Countries that impose zero income taxes on their nationals are dependent on extracting and exporting their natural resources such as oil and natural gas. Qatar, Bahrain, Brunei, Kuwait, Oman, Saudi Arabia, and United Arab Emirates are examples of such countries. Instead of minimizing the extraction of these fossil fuels (and keeping them in the ground, as advocated by environmentalist groups), these countries extract these resources big time, export them to the rest of the world, and sustain their governments’ economic and social programs without creating or imposing any income tax. This is a lesson for the Philippines with an estimated $1 trillion worth of mineral reserves. On the graph are data from the US Geological Survey (USGS)which indicates that worldwide, the Philippines has the 5th largest estimated reserves in nickel and 4th largest reserves in cobalt. Cobalt is largely used to produce batteries for electric vehicles. The reserves/production (R/P) ratio is computed here, the ratio represents estimated number of years before the reserves are depleted on the assumption that both R and P numbers will not change, which is unlikely because modern and evolving technology through time will continue to discover bigger reserves, or improve the utilization of existing reserves (see table). The Philippines’ R/P ratio of 21 years for nickel is short compared to global average of 35 years but longer than Indonesia’s 11 years. There is a need to continue exploration of other nickel deposits in the Philippines as well as optimize the recovery of this and other metals per ton of metal ores extracted. Our R/P ratio of 70 years for cobalt is good, higher than the global average of 64.5 years. As more countries demand more electric vehicles (cars, motorcycles, buses, trucks), the global appetite for cobalt will rise quickly. China is currently the biggest importer and consumer of cobalt as it aims to produce more electric vehicles in the medium to long term. The rising demand for cobalt relative to supply is shown in its rising prices, currently at $36/pound, the highest since some 15 years ago except for 2008-2009 global financial turmoil where cobalt prices peaked at around $53/pound. Nickel prices have declined to around $4/ton in 2015-2016, now recovering upwards at current prices of around $6+/pound. So there are big potential for more investments, more jobs, more government tax revenues, from nickel and cobalt alone. 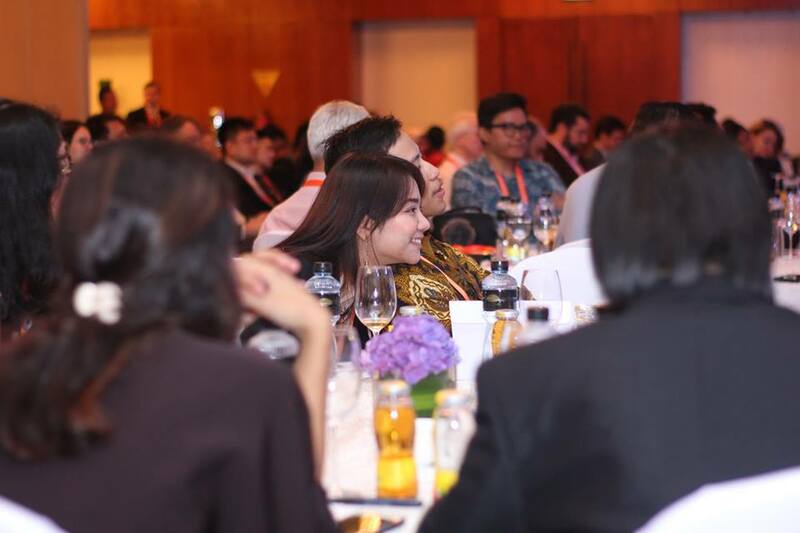 Then there are big potentials for copper and gold mining in this country — if the Tampakan and Silangan projects would push through. Tampakan, estimated to cost $5.9B in project development, will be the single biggest foreign direct investment in the Philippines. For its part, Silangan is worth about $2 billion. In 2015, the Philippines produced an estimated 83.8 tons of copper metal content, and 20.6 tons of gold metal content. These are small amounts compared to the big global producers of copper: Chile 5,764 tons, China 1,710 tons, Peru 1,700 tons, US 1,380 tons. Also in that year, the big gold producers were China with 450 tons, Australia with 278 tons, Russia with 252 tons, and the US with 214 tons. The uncertainties in the mining sector continue to linger even after the Commission on Appointments has rejected former DENR secretary Gina Lopez in May 2017. The new Secretary Roy Cimatu has not yet formally lifted the closure orders for some mining firms and the debate on open pit mining still continues. The big mining potentials of the Philippines on four metals alone — nickel, cobalt, copper and gold — when realized by removing the endless uncertainties and by relaxing the various anti-mining policies, will allow the country to significantly reduce income tax rates. Government should have no “right” to confiscate plenty of resources from the pockets and savings of people and private enterprises, especially where there are plenty of private provisions of infrastructure via integrated PPP, private education, private health care, private housing, private security and peace and order. Bigger mining revenues and mining taxes through lesser anti-mining policy uncertainties will be a key measure toward lowering income taxes, both personal and corporate, in the medium to long term. 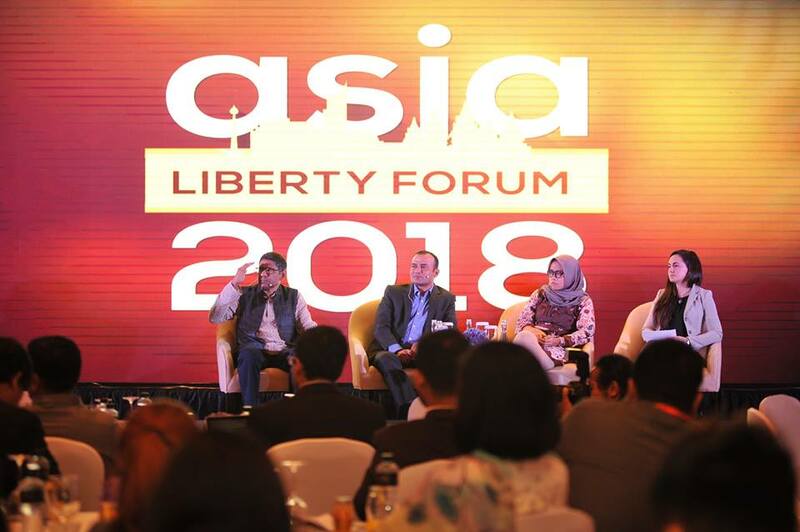 The Asia Liberty Forum (ALF) 2018 conference ended successfully last week. 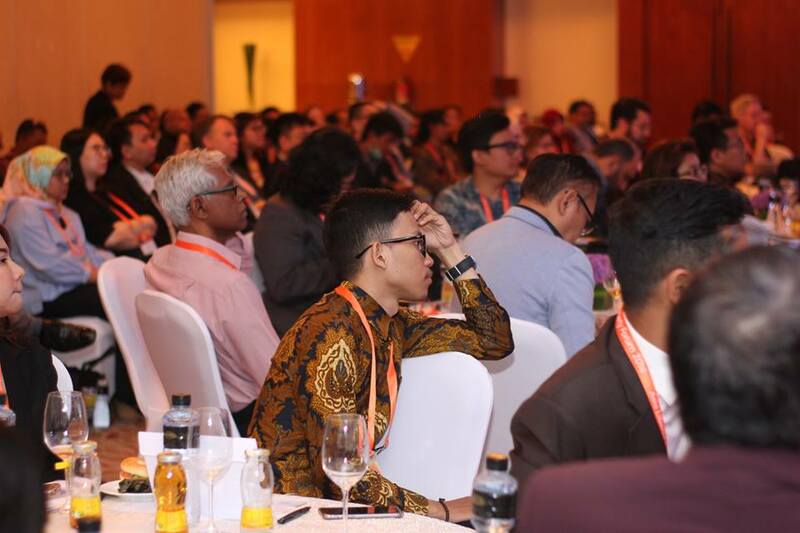 Venue is the beautiful Mandarin Oriental Jakarta, the hotel is facing the Jakarta Central circle, Thamrin. 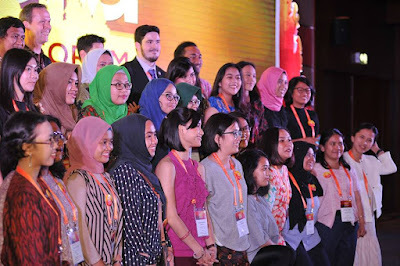 Plenty of participants from many countries. Hats off to Atlas and the Center for Indonesian Policy Studies (CIPS). 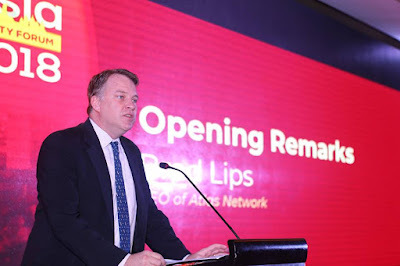 Opening remarks on Day 1 was given by Atlas President and CEO, Brad Lips (below) then Saidah Sakwan, Chairperson of CIPS. Hizkia Respatiadi (CIPS), Eunhee Park (Teach North Korean Refugees/TNKR, S. Korea), Nila Tanzil (Taman Bacaan Pelangi, Indonesia), Terry Kibbe (Free the People, USA) as moderator, Barun Mitra (Liberty Institute, India) and Razeen Sally (LKY School of Public Policy, National University of Singapore; he's Sri Lankan). ALL good speakers. 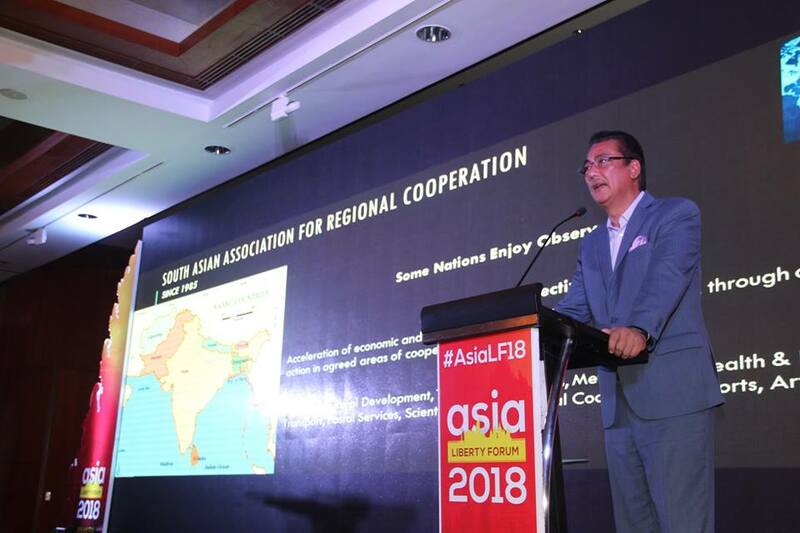 Then the first Keynote address by Suraj Vaidya, Chairman of the SAARC Chamber of Commerce and Samriddhi Foundation, Nepal. He talked why free trade is good and will significantly reduce poverty in many developing countries. 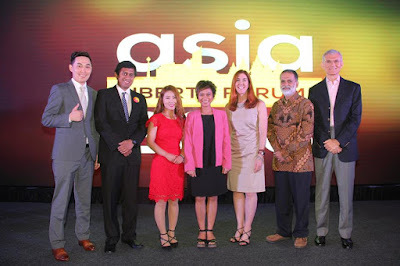 Suraj and FNF Regional Director for South Asia, Ronald Meinardus (3rd from right) flanked by participants an speakers from India, Nepal, Afghanistan, US. Ronald introduced Suraj, then interviewed him on stage. Some of the nearly 300 participants. Among the pretty faces in the crowd, a local participant. 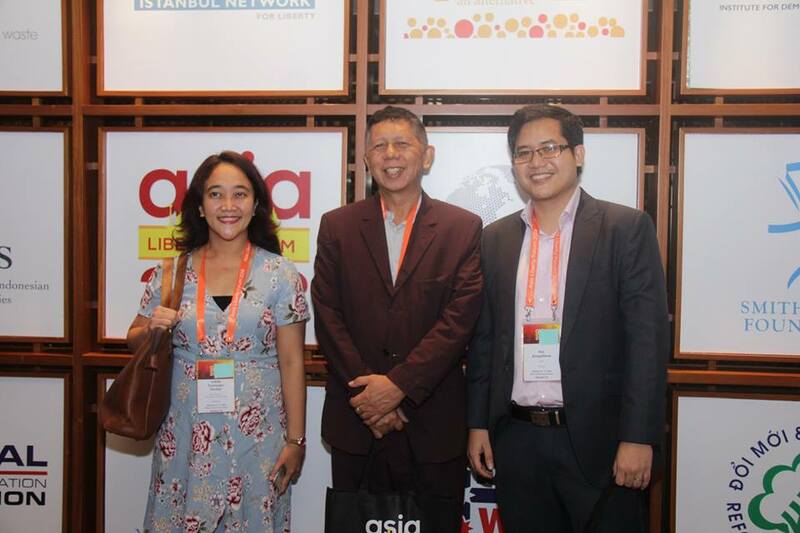 A photo with Adinda Tenriangke Muchtar (Suara Kebebasan, Indonesia) and Pett Jarupaiboon (EFN-Asia, FNF, Bangkok, Thailand). * This is my article in BusinessWorld last February 01, 2018. 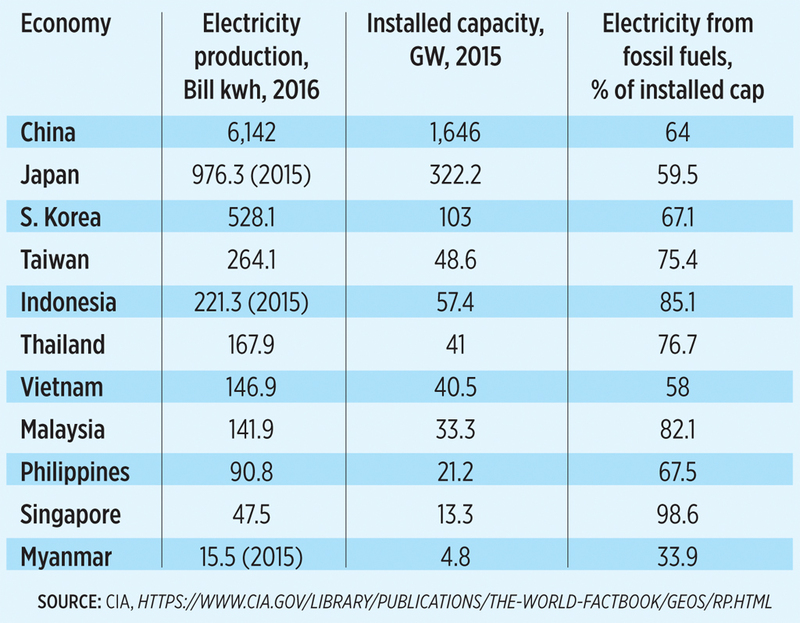 Despite a significant increase in the Philippines’ power generation capacity in recent years, the country’s installed capacity and electricity production remains small compared to the ASEAN-6 and North East Asian neighbors. 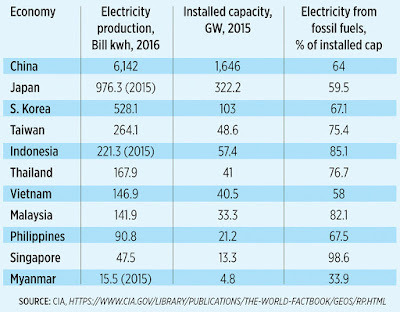 For instance, its installed capacity of 21.2 gigawatt (GW) in 2016 was what Vietnam has about 10 years before. 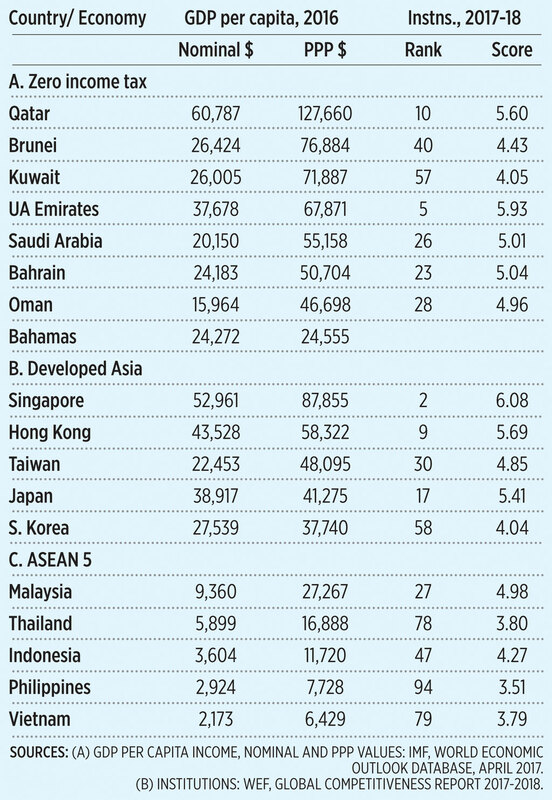 Vietnam now has twice the Philippines’ installed capacity (see table). A reliable and stable supply of energy results in economic development. More power plants mean more electricity generation; more electricity generate will mean more competition for power supply and hence, lower electricity prices for the consumers. However, an unfortunate turn of events might prevent the Philippines from realizing this both in the short- and medium-term. The Ombudsman has issued a one-year suspension for four of five Commissioners of the Energy Regulatory Commission (ERC) last Dec. 21, 2017. The officials were charged with violation of Republic Act No. 3019 (Anti-Graft and Corrupt Practices Act) in connection with the revised implementation date of the competitive selection process (CSP). 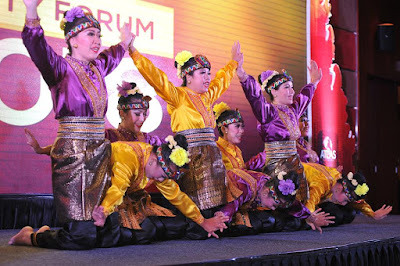 The Ombudsman also said the suspended officials favored a few power supply contracts. With only one Commissioner — Chair Devanadera — allowed to work, here are some of the serious implications and problems. 1. No deliberations and resolutions on applications for approval of power supply agreements (PSAs) and projects for transmission and distribution by the National Grid Corporation of the Philippines (NGCP), distribution utilities, and electric cooperatives. An estimated P1.588 trillion worth of energy-related projects and capital outlays would be affected. 2. The inability to act on petitions for rate adjustments and pass-on charges; consumer complaints, violations of industry players of existing laws and regulations. 3. Non-issuance or renewal of certificates of compliance (CoC) or provisional authorities to operate power plants. 4. The inability to award procurement contracts, like the ERC meter seals and stickers being placed on electric meters of the distribution utilities, among others. 1. The President should appoint OIC Commissioners to temporarily act on behalf of the four suspended officials until the suspension order has lapsed in late December this year and the suspended officials will be back in office. 4. DoE should also be able to accredit or renew Retail Electricity Suppliers (RES) with pending or expiring licenses, until the ERC paralysis is resolved. Several government branches and constitutional bodies must always put in mind the welfare of the consumers. The inflationary pressure of TRAIN law (higher oil prices, higher coal generation prices, among others) is already mounting. 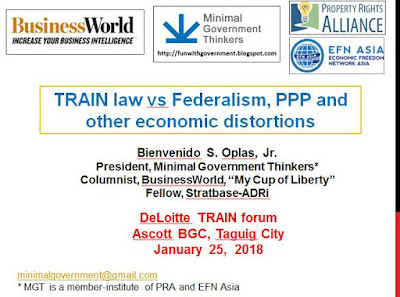 Last month, I gave a talk about the new tax-tax-tax law of the Philippines called TRAIN, signed in December 2017. Audience were accountants, auditors, managers of medium to large corporations plus officials and staff of Deloitte. I said that I entitled my paper as such because I believe that the TRAIN law is a lousy and ugly law. * PIT cut rate should be a social goal and a public service in itself. Earning P500,000 (little less than $10,000) or higher per year and be slapped with 32% income tax is confiscatory, immediately qualifies the government as creator of poverty. No need to raise or create new taxes somewhere. * Instead of raising the top PIT rate to 35%, TRAIN should have cut it to 20% max, to (1) be more comparable with MY, SG rates and (2) decentralization preparation, allow state govts to have their own income tax, excise tax, etc. * Society should reward people who become rich and wealthy via entrepreneurship and efficient professional work, not demonize and over-tax them. We should have more millionaires and billionaires, not less; we should have more super-rich people, not less. * Federalism can be more attractive to the people, central national government should learn to step back, tax less, regulate less, bureaucratize less, people and investors in the provinces have more leeway, more opportunities to craft their own political and economic identity. -- Ronald Reagan, former US President. 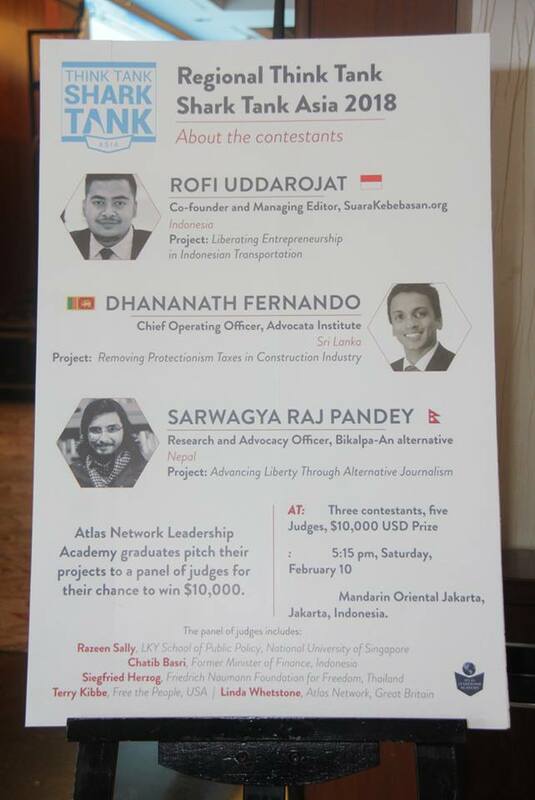 Thank you for that opportunity, Senen, Deloitte officials. From only 5 million barrels per day (mbpd) oil production in 2010, up to 10.2 mbpd average for January 2018, congratulations America. 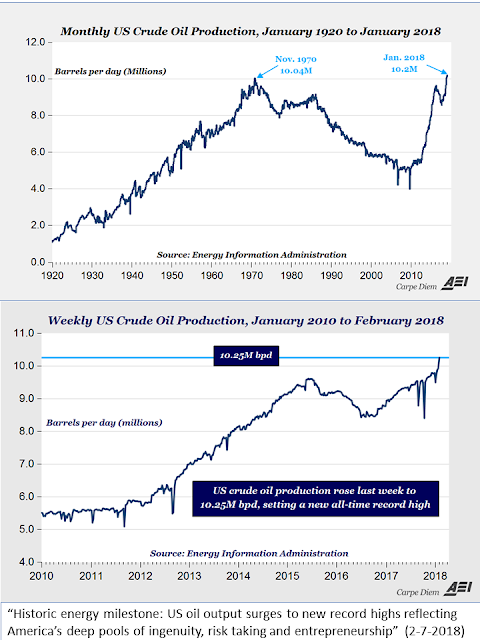 And EIA's projection is 10.6 mbpd average for 2018. 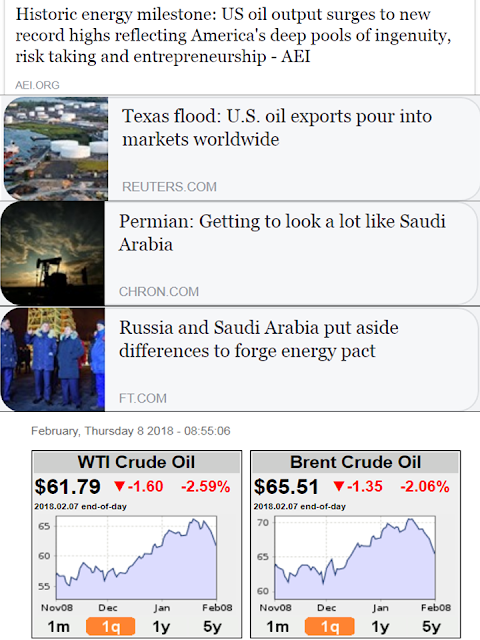 OPEC (mostly dictatorial member-governments like Venezuela, Iran, Saudi) and Russia are quivering. U.S. producers now export between 1.5 million and 2 million barrels of crude a day, which could rise to about 4 million by 2022. 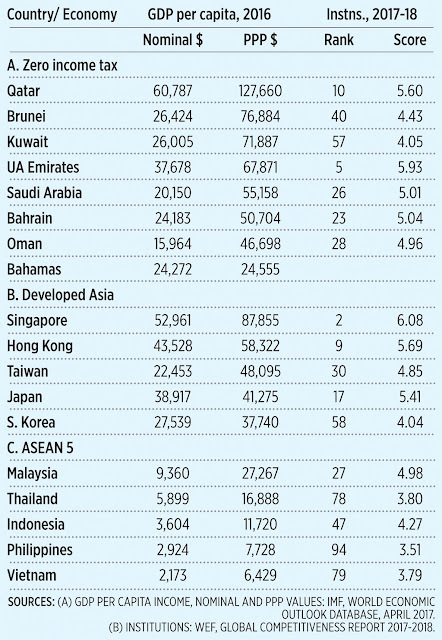 The nation’s output is expected to account for more than 80 percent of global supply growth in the next decade, according to Paris-based International Energy Agency." "The Permian Basin of Texas and New Mexico is the engine for U.S. shale production and acquisitions, helping to increase U.S. output to more than 10 million barrels a day in November for the first time in more than four decades. Exxon Mobil Corp. is spending billions to triple output by 2025 from the Permian, where its costs are as low as $15 a barrel." “The exchange in December highlights how Russia and Saudi Arabia have over the past 18 months forged an unlikely alliance in energy, despite being on opposing sides on other issues such as the Syrian conflict. The traditional rivals, which combined produce a fifth of the world’s crude, now speak with a united voice on energy-related matters and frame their relationship in strategic terms. And this explains why world oil prices, WTI and Brent, are declining in recent day (last chart, above). Trump's "energy dominance" policy will somehow soften the TRAIN de Du30's "expensive oil via higher taxes please" policy? Another good article from a friend, Eric. Reposting this. Aren’t we all supposed to be equal? And yet the gap between rich and poor just keeps growing. We need to maintain equality among people. Isn’t vigorous government action necessary to keep the playing field level—to keep the wealthy and powerful from taking more than their fair share and oppressing everyone else? There has been a lot said and a lot written about income inequality—about how unfair it is that a few people are very rich and the rest of us aren’t; that the income gap between the wealthy and even the middle-class, let alone the poor, is so large. There’s only one problem with this complaint. Income inequality is actually a good thing—when it is the product of a free market economy. And your own life proves it! An economy is made up of millions of individuals making decisions about their own lives—where and how much they want to work, what they want to buy, and so on. You are one of those individuals. In a free society, you are free to pursue a path in life that you believe best suits your talents. That talent might be teaching, or making music, or banking, or starting a small business, or raising a family. Whatever it is, this freedom helps to make life enjoyable, exciting, and meaningful. But it’s also an expression of inequality. This is simply because we’re all different. We have different talents, different temperaments, and different ambitions. That’s okay because—again in a free society—we can seek out opportunities that play to our personal strengths; that distinguish us from others. If you find what you’re really good at and work hard, you might have great success and make a lot of money. If you’re an outstanding athlete, I’ll buy a ticket to see you play. If you’re a savvy investor, I’ll give you some of my money to invest. As long as you have the freedom to guide your own destiny, you have a chance to reach your full potential—achieving success, however you define it. But if someone, say, a government bureaucrat, told you that your ambition had limits, that there was a ceiling above which you could not rise, I doubt you’d be happy about it. You’d feel like you were in a straightjacket. Forced equality means less opportunity to pursue what makes you individually great. But what about the growing gap between the rich, the 1 percent, and the rest of us, the 99 percent, that one hears so much about? Isn’t that a bad thing? In a free-market economy, people become wealthy making what the rich enjoy today into something almost everybody can enjoy tomorrow. The rich are the test buyers. Consider the cellphone. Now we all have them, but when Motorola manufactured the first one in 1983, it was the size of a brick, had a half-hour of battery life, reception was terrible, and calls were very expensive. It cost $4000. But if no one had bought that $4000 brick, there wouldn’t be a $40 cellphone today. In the 1960s, a computer cost over a million dollars. Nowadays, thanks to billionaires like Michael Dell, we have incredibly advanced computers that cost us a few hundred dollars. Remember what out-of-reach luxury flat screen TVs once cost? Only the rich could afford them. Today, your living room is essentially your own private cinema. The free market is about turning scarcity into abundance. What was once available to the few is now available to the many. Wealth inequality is an important corollary to that truth. So, should I resent the people who became wealthy because they have more money than I do, or should I be grateful for the economic system that allows them to enrich my life and the lives of millions of other people? This feature of the free market—income inequality—can appear terribly unfair. But with a little further investigation, the real picture becomes clear. Income inequality makes what once seemed like impossible luxuries available to almost everyone; it provides the incentive for creative people to gamble on new ideas; it promotes personal freedom, and rewards hard work, talent, and achievement. In sum, income inequality signals that individual liberty, opportunity, and innovation are all present in a free economy. Pretty good for something that’s supposed to be so bad. The 1% Club is always open to new members. And you don’t have to be in the top one percent to have a very good life. And that, not the existence of the very wealthy, is what matters most. Eric Jurado is a hedge fund manager. 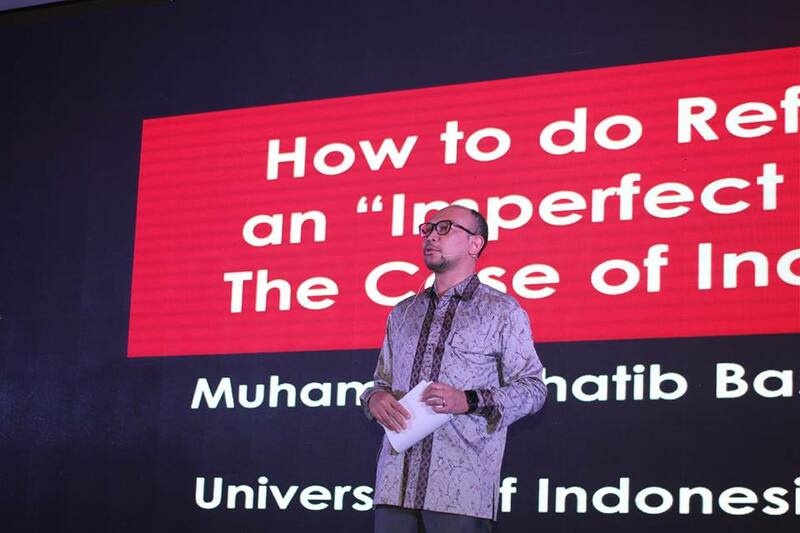 He covers economic and political issues with liberty as his guiding star.